It’s a great time to return to the Johto region with the release of Pokémon Crystal on the Nintendo 3DS Virtual Console. Not only can you have another fun adventure, but you’ll also be able to transfer your favorite Pokémon from Pokémon Crystal into Pokémon Ultra Sun and Pokémon Ultra Moon using Pokémon Bank (and Poké Transporter). Many Pokémon you can catch in the wild in Pokémon Crystal can’t be found in the Alola region. And each Pokémon you transfer from Pokémon Crystal will have their Hidden Abilities once you transfer them to Pokémon Bank, allowing you to obtain Pokémon with rare Abilities more easily. Take a look at some exciting Pokémon you can catch in Pokémon Crystal and transfer to Alola to bolster your collection. But remember that once you transfer a Pokémon from Pokémon Crystal to Pokémon Bank, you won’t be able to send it back to Pokémon Crystal ever again. Make sure that you won’t need the Pokémon you transfer to help you with your adventures in Johto and Kanto any longer before you transfer them. Few Pokémon are more sought after than the three first partner Pokémon that join Trainers at the beginning of their journeys. Chikorita, Cyndaquil, Totodile, and their Evolutions aren’t ordinarily available in Pokémon Ultra Sun or Pokémon Ultra Moon, but you can transfer them over from Pokémon Crystal via Pokémon Bank. Each of these Pokémon have powerful Hidden Abilities, such as Feraligatr’s Sheer Force. Be careful not to transfer such key Pokémon too soon. We’d suggest finishing your adventures in Johto before transferring your beloved partner to Alola! One of the most treasured Pokémon originally discovered in the Johto region is little Togepi. Surprisingly classified as the Spike Ball Pokémon, Togepi can’t ordinarily be obtained in Pokémon Ultra Sun or Pokémon Ultra Moon. You won’t have to journey too far through Johto to encounter Togepi in Pokémon Crystal: just hatch the Egg you receive from Professor Elm’s assistant in Violet City’s Pokémon Center. You can help Togepi evolve into Togetic in Pokémon Crystal, but you’ll need to transfer it to Alola before it’ll be able to reach its final stage—Togekiss. Five Legendary Pokémon are available to you in Pokémon Crystal: Lugia, Ho-Oh, Raikou, Entei, and Suicune. Each has a powerful Hidden Ability that Pokémon of the same species caught in Ultra Space will never have. Lugia’s Multiscale, Ho-Oh’s Regenerator, and the others’ Hidden Abilities all provide significant potency in battle. Transferring these Pokémon from Pokémon Crystal could be the key to finishing your collection. Entei and Lugia can’t be found in Pokémon Ultra Sun, while Raikou and Ho-Oh are unavailable in Pokémon Ultra Moon. 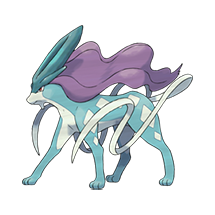 With your horde of Legendary Pokémon in tow, you can also try to catch a second Suicune in Ultra Space—an encounter that will only occur if you have an Entei and a Raikou in your party. 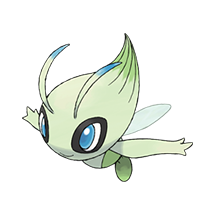 If you’re looking for rare Pokémon to add to your collection, it’s tough to top the Mythical Pokémon Celebi. Trainers will be able to team up with Celebi in the Johto region itself for the first time—unlike even the Virtual Console releases of Pokémon Gold or Pokémon Silver. Mythical Pokémon can’t normally be found in the wild, so don’t miss this special opportunity. When it comes to prestigious Pokémon among fans, it’s hard to top the Shiny Gyarados that can be found at the Lake of Rage. (You may recall that encountering it was one of our 10 can’t-miss activities from the Johto region.) Trying to track down a Shiny Gyarados in Pokémon Ultra Sun or Pokémon Ultra Moon would prove to be a long and difficult endeavor, but Pokémon Crystal’s Lake of Rage is much more accessible. Make sure you add this rare Pokémon to your collection. Plenty of Pokémon commonly found in Pokémon Crystal aren’t found in the wild in Alola, such as Hoppip, Nidoran♂, Nidoran♀, Oddish, and Sentret. Stay vigilant for many of Johto’s more eccentric Pokémon—Donphan, Girafarig, Qwilfish, Shuckle, Sunflora, Ursaring, and Wobbuffet are all among Johto’s most memorable Pokémon, and none are available in Alola. Take care to explore Mt. Mortar and add Tyrogue to your team—it and its branching Evolutions are all absent from Alola, too. The mysterious Unown can’t be captured in Pokémon Ultra Sun or Pokémon Ultra Moon, and that can put a big hole in your collection if you’re really looking to catch ’em all. Each Unown represents a different letter or symbol, and there have been 28 different Unown discovered in all. You’ll be able to capture the 26 variations of Unown representing letters of the Latin alphabet in Pokémon Crystal by solving the four puzzles in the Ruins of Alph. The remaining Unown—one resembling an exclamation point and the other a question mark—weren’t discovered until Trainers tackled the Tanoby Chambers in Pokémon Fire Red and Pokémon Leaf Green’s Sevii Islands. There’s a few Pokémon we’d suggest going out of your way to track down. Keep an eye out for Natu and Xatu for the Magic Bounce Ability, Piloswine and Swinub to net a Mamoswine with the Thick Fat Ability, and Politoed for its Drizzle Ability. Catch Snorlax for its Gluttony Ability—you’ll need to battle it to stop it from blocking your path through battle once again, anyway. And you may even want to evolve your Tyrogue into Hitmonlee so that you can obtain its powerful Hidden Ability—Unburden. The Pokémon you transfer from Pokémon Crystal will maintain their learned moves after being transferred to Pokémon Bank. You can train some unique Pokémon by teaching them moves using TMs in Pokémon Crystal that can’t be taught by TMs in modern titles. You can even teach some Pokémon moves that members of their species native to Alola can never learn. For instance, Alola’s TM07 teaches Hail. But in Johto, you’ll find TM07 teaches Zap Cannon instead, and it’s compatible with Gengar, Pikachu, Raikou, and many other Pokémon that can no longer learn Zap Cannon in Alola. Keep an eye out for similarly altered TMs like TM01 for Dynamic Punch, TM03 for Curse, TM23 for Iron Tail, and TM33 for Ice Punch. Remember to teach your Pokémon these moves before you transfer them, because you can’t bring items to Pokémon Bank. The Alola region is renowned for having Pokémon that have adapted to its unique environment by becoming regional variants that look different from the same species in other regions. If you’ve only played Pokémon Sun, Pokémon Moon, Pokémon Ultra Sun, and Pokémon Ultra Moon, you’ll have no way to acquire the previously known variations of these Pokémon on your own. With Pokémon Crystal, you can add the forms from Kanto for Pokémon like Diglett, Exeggutor, Meowth, and Muk to your collection. Get out there and catch these Pokémon, Trainers! 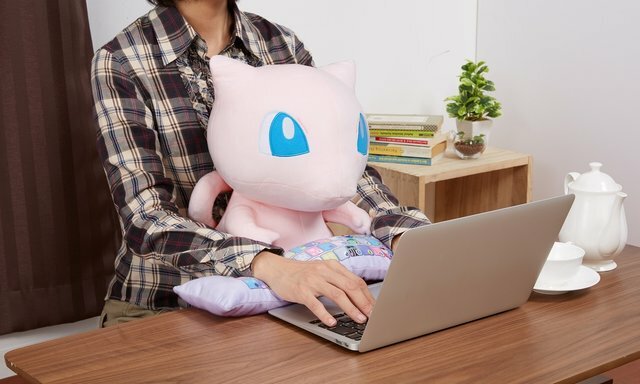 And remember to check Pokemon.com/Strategy for more Pokémon TCG and video game articles, strategy, and tournament analysis.